Did you know that the global spending on VR and AR will hit $17.8 billion by the end of 2018? Consumer VR is set to expand from $1.6 billion last year to $11.5 billion in 2021! How cool is it to land somewhere and enjoy the surroundings with meticulous details when you are not actually present there in the flesh? Welcome to the world of virtual reality (VR). Virtual reality-in essence, is the technology to immerse the user in a virtual world. Early adopters of VR across sectors-gaming, healthcare, retail, defense, education, or entertainment-have found interesting applications. The impact of VR in the real estate industry is also a perceptible phenomenon now. However, VR is not the only one attracting a lot of eyeballs. Augmented reality (AR) which is about overlaying digital information on top of a person's environment in real time is getting a rousing reception as well. A recent survey reveals that 21% of respondents believe AR/VR related investment will flow into real estate in 2019 compared to 18% in 2016. More investment means more excitement is on the way. In keeping with that buoyancy, here is our take on how virtual reality will transform real estate. By far, this is the most fantastic thing that virtual reality in real estate has to offer. Not long ago, if you wanted to buy a home or an office space, you had to arrange for a physical visit to check out the property. And if you don't have the time to do so, the option you are left with is either looking at a collection of bland images on a brochure or on the developer's website. With 360-degree renderings of your chosen property, VR is breaking the stereotype. Buyers just need a suitable VR headset to start-off a virtual tour before visiting the place in person for an open house. 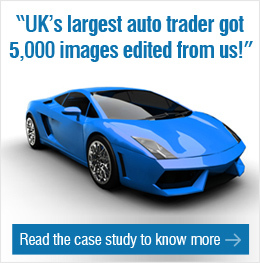 As a result, buyers can virtually visit multiple locations within a short duration. Similarly, real estate agents can save a lot of time and streamline the selling process. Moreover, life-like three-dimensional videos trigger, among potential buyers, an emotional connection with the property they view. According to a recent report, globally, 130,000 real estate agents will make use of VR in 2020 to show homes with an annual spend of $5,000. 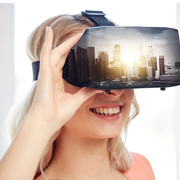 Virtual reality in real estate is not limited to virtual tours. It can give traditional staging a new spin. Earlier, to do staging, agents and buyers had to depend on the real decoration of a space to see how pieces of furniture and other decorative items fit in. This is both time-consuming and costly. In the case of a property that needs repair, staging is even a bigger hassle. Since VR empowers you to visualize a home as a replica of the physical one, you can easily let your imagination run wild and style it up to your heart's content. That way, you will be in a better position to take decisions faster. Real estate and v-commerce are indeed like two lovebirds destined to meet. We have been witness to the flight of e-commerce and then m-commerce. Guess what, now we are on the cusp of a v-commerce revolution. VR in real estate industry provides just the right setting for v-commerce to thrive. While engaged in virtual staging, prospective property buyers will easily be able to order a home decor product of their choice. A recent survey has found that a very high percentage (79%) of consumers are eager to taste the convenience of virtual reality shopping by redesigning a room or physical space with furniture. Communication is a key ingredient before sealing any deal. Since buyers are investing their hard-earned money into a property, they have every right to seek clarifications about various features and aspects of it until they are reasonably satisfied. In the case of short-term vacation rentals, the value of clear communication is even more important. To help renters, agents leveraging VR tours can create a hub of instructional videos that tend to answer their queries and walk them through something they are finding hard to operate. So, the possibility of future bitterness over "what you were promised or told" and "what actually is delivered to you" is nipped in the bud. This is how virtual reality is changing real estate industry. No doubt VR is taking giant leaps in the consumer-facing field of real estate. But what about how VR is transforming real estate industry when architects design the initial prototype of a property? Often it happens that the prototype needs to be tweaked at a later stage. Then, the construction company has to go back to the drawing board to reflect the changes. And the fallout is an obvious spike in the costs. In addition, the time frame to complete the project increases. Applying changes to the prototype in VR can help to eliminate these problems. Proximity is not a precondition for buying a home anymore. Long-distance buyers who are aware of the impact of VR in real estate industry will assert that there's no rule carved in stone that you can't look beyond your locality. Thanks to virtual reality hunting for digs from afar is an absolute breeze. On the other side, agents also get the opportunity to expand their client base. In our journey detailing how VR is changing the real estate industry, we have now reached the terminal station - Sight-unseen. A growing number of people are shedding inhibitions about owning a property that they have not seen physically. Giving credence to this trend, a recent survey conducted over the last two months of the previous year has revealed that 35% of home buyers bid on a home prior to viewing it in person. Virtual reality can convince more buyers to follow the same track by boosting their level of confidence in sight-unseen. Virtual reality and augmented reality have got off the ground in real estate. Early adopters are already experiencing improvements with regard to the core aspects of selling properties. But the proposition "how VR and AR are changing real estate industry" can't be deliberated exhaustively as these technologies are still in the process of active development. More awesome things are slated for the future. So, the real estate agencies that are sticking to an old paradigm and consider VR a nine days' wonder only useful to action movie buffs, gaming enthusiasts, or other adrenaline junkies are living in an ivory tower. We would suggest them to approach a VR/AR solution vendor to know how virtual reality changes property market. O2I is a pioneer in providing quality photo editing services to its global clientele. Outsource2india is riding the wave of changes in the real estate market with powerful technological services that are helping our clients achieve faster results at a lower cost. Many clients have opted for our virtual staging services for the real estate industry and converted their sites into a virtual world that can be accessed by customers all over the world. We leverage the latest 3D rendering technologies and create property designs that impress the customers. O2I can help you visualize your property exactly as it was designed by the architects, without laying a single brick. If you are looking for a reliable, cost-effective, and accurate virtual staging service provider, then look no further. Get in touch with us today.